The confusion between .com and .org websites is a never-ending problem for beginners. But once you know the difference, you’ll never have problems again! At first, we should clarify that WordPress itself is an open-source software, it’s absolutely free for everyone. But there are 2 different websites that provide plugins, themes and services for WordPress. WordPress.org is the main website dedicated to WordPress software project. Here you can download WordPress, find free themes and plugins for your site, read all step-by-step guides, participate in discussions on forums, etc. Basically, this is exactly “that” WordPress people mean when talking about a “free WordPress platform” and “self-hosted” WordPress websites. Namely, wordpress.org allows you to have full control over your site. Read: this is a non-commercial foundation. So far, WordPress.com offers 350 ready-made themes (pre-made designs; different plans come with different themes available) for your future site, essential plugins and lots of other things which you can understand from their plans. Basically, WordPress.com is a ready-made solution if you don’t want to manage domain/design/hosting/installation/plugins things individually. And this is also one of the most quality services in the industry, because it’s provided by WordPress creators. Read: this is a commercial project. As you might sum up, WordPress as software is free, but all other necessary things like hosting, domain, design, etc. are generally paid things and can be handled in different ways. In this post all the things will be about wordpress.org self-hosted websites. Domain name is your network address that identifies your site to users (e.g. mydomain.com). If you now take a look at the address bar in your browser, you’ll notice that motopress.com is the domain name of this site. In other words, the domain name indicates your legal ownership of the piece of the Internet space. www before the actual domain name: it’s optional, but technically it’s safer to use www for massive sites with a huge traffic (thousands of visitors). top-level domains: this is the name for the end of your domain name, for example, .com, .org, co.uk, etc. http:// – this is a protocol to tell browsers how to send data. Currently, it’s strongly recommended to use https:// (secure) protocol to send your data encrypted across the web and protect your WordPress website (moreover, it’s good for your search engine optimization). Using https:// can be handled with your hosting provider. When choosing your domain name, try to keep it short and simple. The brand name of your business is the best domain name (however, remember that it can be already taken if your brand name consists of common names). Also, make sure to avoid domain name trademark infringement when selecting the domain name for your site. It’s up to you where to buy the domain name – compare the pricing plans and features to make up your mind. Usually, all hosting companies that sell domains offer hosting packages as well. For newbies, it’s very convenient, but not very secure to buy hosting and a domain name from one company. For example, if someone hacks your hosting account, the domain name itself won’t be damaged and vise versa. When your domain name and hosting are located at different places, you risk less. We’ve already clarified that domain name is your website ownership identifier. As for hosting, it’s just a space on the hosting server to store your site files (in other words, there are physical servers to store your virtual site files). Choosing a hosting provider is not a simple task. There are too many nuances you should take into consideration. We’ve already created a detailed post with all main hosting types, highlighting main features, details about Linux and Windows hosting packages and pricing. Free: it offers very limited services, but can be fine for some non-critical website. The major disadvantages are: slow connection speed, frequent downtimes, and automatically added advertising banners (e.g. Weebly, Wix.com, Yola.) We wouldn’t recommend it for serious website owners. Dedicated: typically, you won’t own the server, but will get full control over the server and responsibility of the security and maintenance. Dedicated hosting server comes with better performance, security, and email stability. Most dedicated servers are packaged with the control panel. A good choice for all serious websites that need a higher level of security (e.g. SiteGround, GoDaddy, BlueHost). Managed: this hosting type if one of the most flexible ones allowing you to manage website data via any remote tool (generally, FTP server with your website files). The provider can guarantee service quality and support. The server is typically leased to the client. It comes with great storage facilities for the server (e.g. HostGator, DreamHost, GoDaddy). 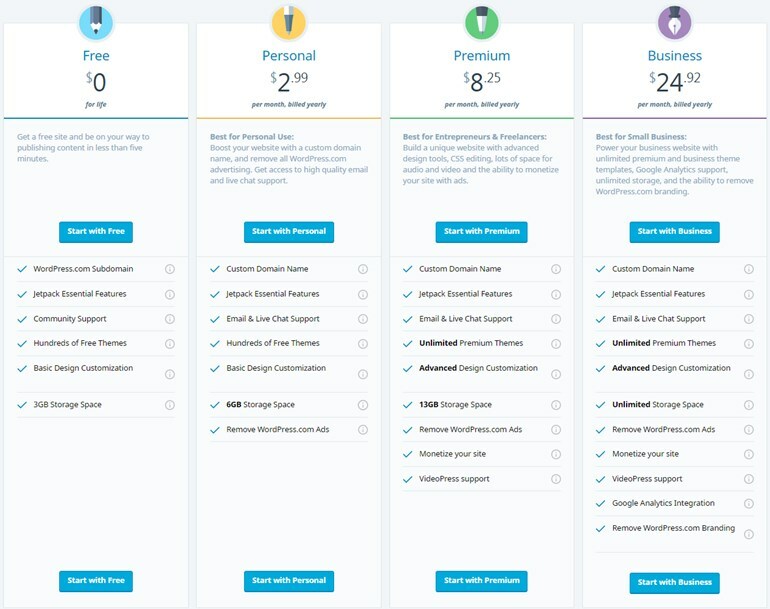 If you need more info, the guide of ”9 best managed WordPress hosting companies compared” will suggest several great cost-effective options. Colocated: one of the most reliable and powerful types of the hosting servers. Owing this type of the server (literally, hardware and software at your disposal), you have full control over it and can install any apps or script you need (e.g. Rackspace, Interoute). Cloud: this is a reliable decentralized kind of hosting, which is based on clustered server. One big plus is that this hosting also allows providers to charge users only for resources consumed. Privacy concerns sometimes may arise because of the decentralized hosting model (e.g. SiteGround, GoDaddy, BlueHost). You may also take a look at the list of our best WordPress hosting providers recommendations based on our 4-year experience. For the domain name and hosting to work properly together, you should point your domain name to the hosting server (you can do this by changing nameservers with a help of your hosting provider.) The process can take up to several days. If you won’t be satisfied with your hosting, you can actually transfer your site files (as well as domain name) to another provider any time. 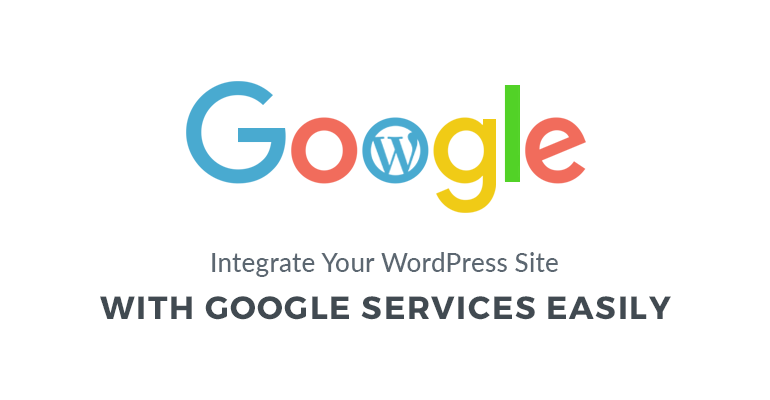 Many hosting providers offer quick and simple one-click WordPress installations or manual ones. If you need to install WordPress manually, the process is a bit more time-consuming, but not difficult. 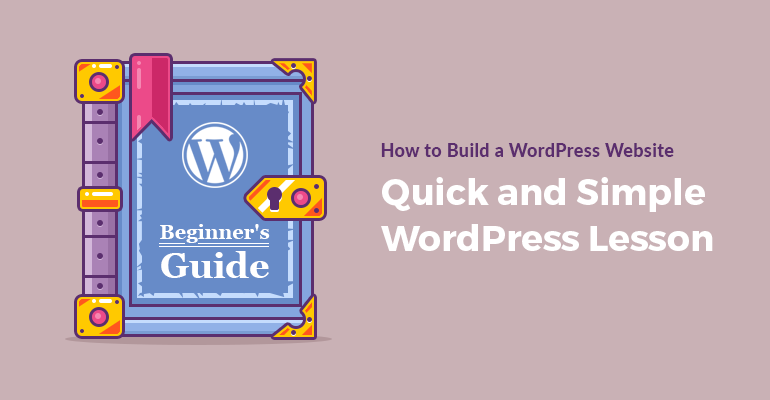 You may check out the official guide by WordPress Codex on how to install it. Basically, you’ll need to download WordPress, upload your files to the domain name folder, create a database, point your browser to the domain name and follow the instructions. When you are done, congrats, you can start doing the most interesting task – picking pieces of functionality and design for your WordPress site! WordPress.org repository offers lots of free plugins and themes, your choice if huge. This is not the only place where you can get them, there are lots of independent WordPress vendors and marketplaces that provide quality plugins and themes (free and paid), packaged with support. It’s worth mentioning that free plugins and themes are generally not worse than paid (premium) ones. In fact, most of them are released under “freemium” business model – it means that you can use any theme/plugin for free, but it comes with fewer options than the paid version of the same theme/plugin. So, if you are okay with limited options, you can continue using a plugin or theme for free. However, if you need more freedom and options, you can upgrade to a paid version. 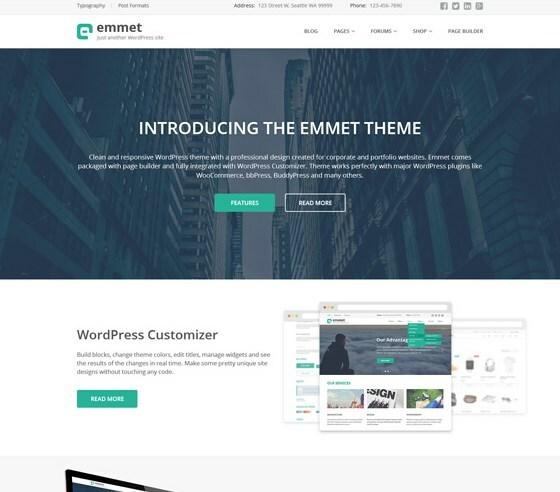 Surfing through the WordPress themes, more likely, you’ll choose a theme depending on your niche – a business website, a personal blog, a photographer’s portfolio, a shop, etc. 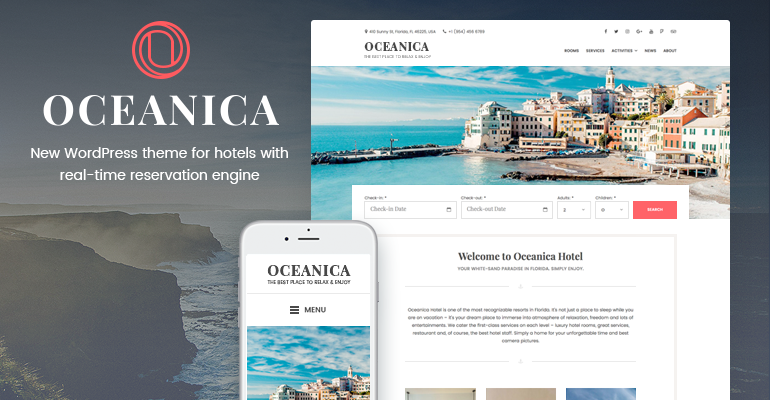 None theme is “the best” one – everything depends on how well it suits your needs, its design-functionality balance and ease of customization. – active support and proper documentation. As for plugins, you’ll choose the ones to perform specific tasks (for example, a slider plugin). There are also some common plugins that are very useful on different types of websites, no matter their niche. For example, SEO (search engine optimization – for your website to be indexed better by engines like Google), performance, security and other plugins. For beginners it may be easier to start with an all-around (performs different tasks) plugin, so you don’t spend time searching for different ones. 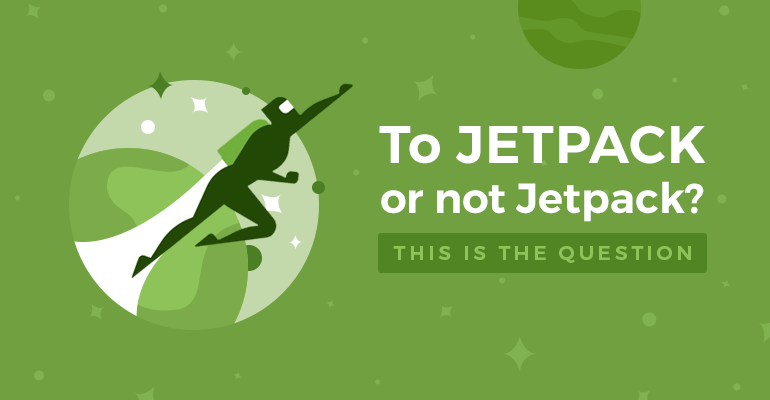 For example, you may give a try to Jetpack plugin (created by wordpress.com, but available for wordpress.org users as well). It’s used by more than 3 million of wordpress.org users so far, and not only beginners! The best thing about this plugin is that it’s multifunctional, created by one of the most professional WordPress teams and comes with tons of free options (that you can easily set up yourself). 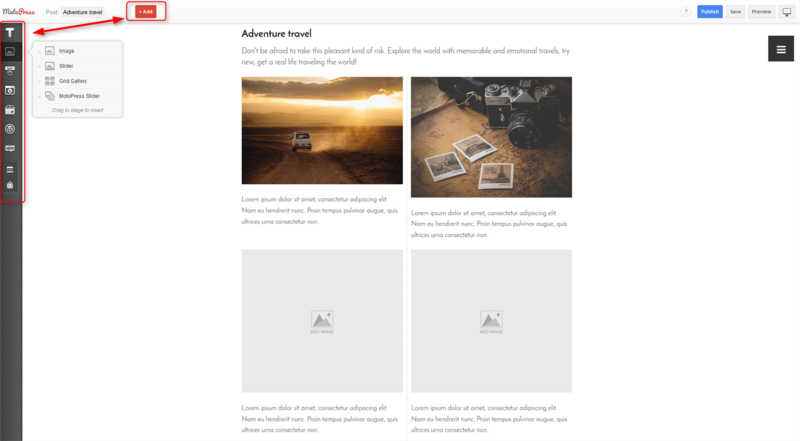 Carousel – a lightbox-style slideshow with many great options like comments, showing image title, etc. All these tools are offered by one plugin and won’t require any coding skills. So you may consider it a good starting point. On the official website, you may download a free version and see what’s offered within a paid one (if you want to make money with your site, consider pro versions). There are also other essential plugins you can check out. To set up and improve your SEO, you can check up the following plugins: Yoast SEO (more suitable for blogs) and All in One SEO Pack (for shop and massive sites). However, they are interchangeable, so you may install the one you you like more. You’ll also need to backup your site files sometimes, there are several plugins that can help you with this. One of the good solutions is a free Dropbox Backup and Restore that will easily create a full backup of your site and database which you can optionally store on Dropbox. Another highly user-friendly WordPress backup plugin is BlogVault that will automatically create daily site backups and will require mostly no configuration (you may also check a free version). To protect your site from spam, you can rely on Akismet – another super powerful plugin by Automattic (WordPress and Jetpack creators) that will block comments and contact form submissions spam. For beginners, it’s also important to get maximum customization freedom. If you want to be able to build pages with different types of content absolutely visually, just dragging and dropping the content, you may try a free MotoPress Visual Page Builder. Unlike many other similar plugins, it will save your content even if you uninstall the plugin. 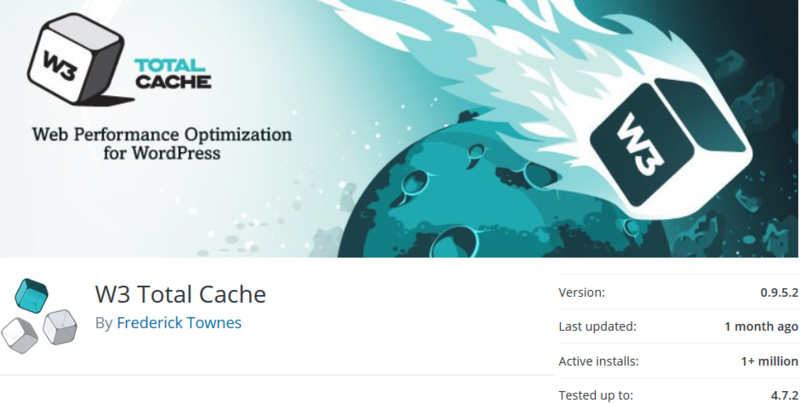 You might also need the W3 total Cache plugin – a great caching solution that will speed up your website, improving performance and overall usability. Another great plugin we’d recommend is iThemes Security – while you’ll be learning about multiple ways to secure your WordPress site, this plugin will serve as a great multifunctional security layer. If you have time, check out our fresh WordPress security tips. To track the user’s behavior on your site, sales and all other important statistics, you can use such advanced and professional tools like Google Analytics. 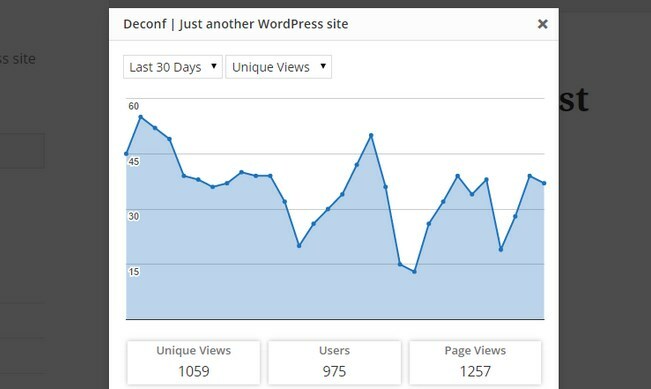 If you prefer to view all statistics from Google Analytics from your WordPress dashboard, you can install such a free plugin as Google Analytics Dashboard for WordPress. 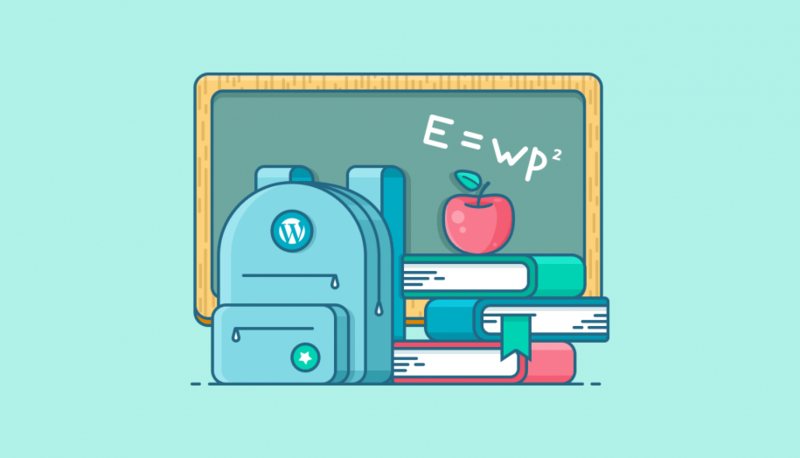 We’ve also created a collection of top popular and quality free WordPress plugins for easier maintenance, SEO and marketing, you’ll probably find the one to your liking there. Remember, don’t install unneeded plugins, several alternative plugins or plugins with shady reputation. It’s very important to choose quality plugins and themes – your WordPress website security, performance and SEO depend on them a lot. That is, try to choose the ones with good reviews, high rating and a big number of active installs (1000+). Poorly coded plugins and themes can have a bad effect on your website. There should not be problems with setting up website pages, each theme should come with a detailed documentation to help you understand where to start. The only confusion that many WordPress beginners face is a front page (home page): it can be either dynamic (with your recent blog posts – once you publish your posts, they appear on the front page automatically) or static (it will display static content modules like a gallery, slider, call-to-action block, services, etc.) To choose the preferable home page, you should go to Settings > Reading. Of course, building a site is not a piece of cake and you’ll need some time to figure out all details. Also, you should always stay updated with latest WordPress news, search for new tools for your site, learn deeper about website optimization, protection and promotion. This is a long and interesting process of polishing your website and achieving your goals! Stay tuned to our latest news and deals! Hey Alexander! Thanks for commenting. A few good reasons why WordPress is a smart choice for all sorts of websites can come in handy. Thanks Ann Taylor 🙂 . It’s pretty good to read your articles. Hello, Ann. that’s a great share. WordPress provides wide opportunities for business entrepreneurs to start their online venture in a much simpler manner with less technical hassle. Thanks for shedding some lights on deciding what hosting service is best, I was not aware that there are so many options. I would like to know when comes to eCommerce. Which service should some one go for. Whether its better to create an online store on dedicated eCommerce platforms like Shopnix and Shopify. Or We can custom create a store on WordPress. I haven’t heard any one suggesting a WordPress option when comes to eCommerce. Hi there! Thanks for stopping by! 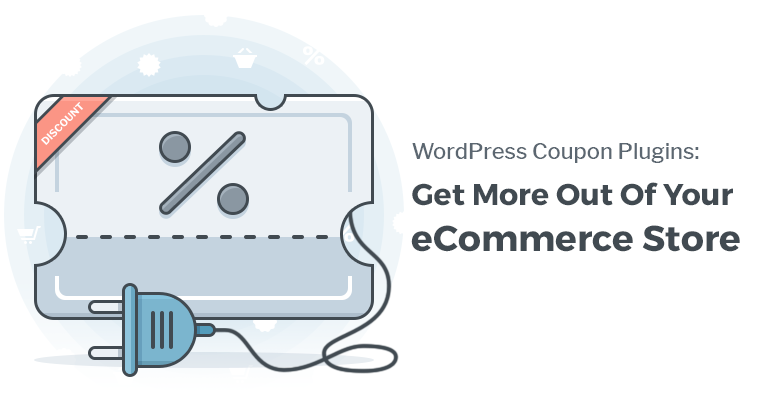 I must admit I’m surprised you haven’t heard about e-commerce plugins for WordPress as they are pretty popular! You definitely can build a fully functional e-store with the WP plugin. The tried and trusted ones are WooCommerce and Easy Digital Downloads. The Shopify service you mentioned comes with the WordPress integration, too. You may google for different comparisons. Simplified & illustrative article about WordPress for beginner’s, here I found the easier steps which explained everything in simple & exact manner. Thanks for your guide. Hi Brandon! That’s great, thanks for stopping by!